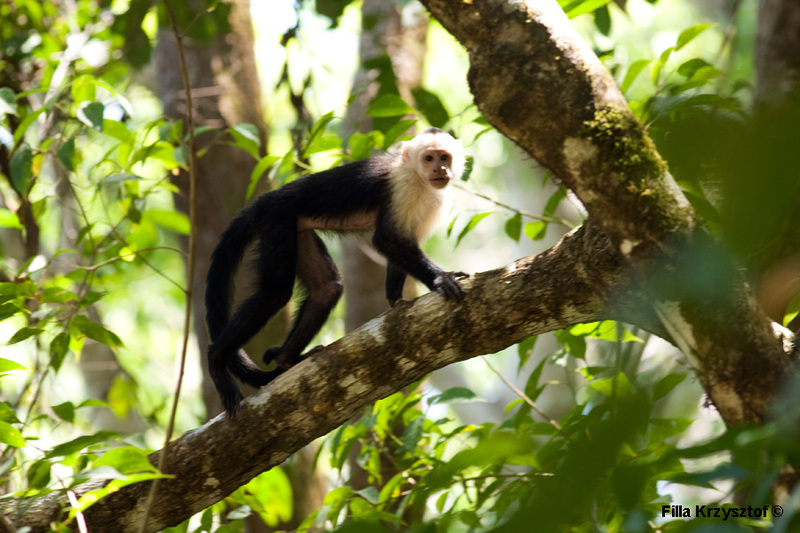 The white-headed capuchin (Cebus capucinus), also known as the white-faced capuchin. The name capuchin comes from their distinctive colouration of their head top that resembles a hat worn by some clergy like the capuchin friars. These monkeys almost match intelligence the great apes.